“Maharaja Hari Singh” a patriotic daring, dignitary and dynamic personality of the royal family ascended to the throne of Jammu & Kashmir State in 1925. He gained acclamation for being “The Last Ruling King of Independent India”. Since he continued to be Maharaja of Jammu & Kashmir till 5th November 1952. He was born on 23rd September 1895 in Amar Mahal Jammu. Son of Raja General Amar Singh and nephew of the then highness of Jammu & Kashmir State Maharaja Partap Singh. Maharaja Partap Singh discarding the right of his only adopted son Raja Jagdev Singh of Poonch considered the all-round brilliance, suitability and competence of his highly qualified (from Britain) Nephew Hari Singh, who had already become the senior member of the State council at the age of 27th then he was declared his successor. In 1934, there erupted “Roti” and “Cow” agitation in Jammu which was handled by Maharaja Hari Singh with utmost care and caution. When he was 13 years old he was sent to “Mayo College of Princes” for studies. Soon after his admission in the Mayo College his father Raja Amar Singh died. After his father’s death British Govt. in Delhi took keen interest in his education and bringing up. A British Army Officer was deputed as his guardian with the responsibility of ensuring proper education and training with the aim of grooming him to be a good ruler. After completing his education in Mayo College he was sent to “Imperial Cadet Corps” at Dehradun to imbibe in him military and martial traits as well as polishings his English language. Maharaja Hari Singh married Maharani Tara Devi in 1928. Yuvraj was born to them on 9th March 1931 as the next Heir apparent. In 1915 he was appointed Commander-in Chief of Jammu & Kashmir State Forces when he was only 20 years old. On assuming command of the State forces he introduced lot of reforms in the training and welfare of officers and soldiers. He was sworn in and bejeweled with a dignity of “King of Kingdoms” of Jammu, Kashmir, Ladakh, Gilgit and Baltistan bordering with Afghanistan, Russia and China in 1925. Maharaja Hari Singh being a moderate and enlightened ruler took a number of steps for Muslim Community and mitigated their grievances after the agitation of 1931. He constituted Grievances Enquiry Committee under the chairmanship of B.G. Glancy and in consequence of its report the religions places of Muslim which had been rescinded by “Akbar The Great” were restored to them and adequate representation to Muslims in the State services was granted. In 1934, there erupted “Roti” and “Cow” agitation in Jammu which was handled by Maharaja Hari Singh with utmost care and caution. Hindu Temples were thrown open to Harijans in spite of opposition by the priests. Flesh Trade by the women was banned and remarriage by the widows was allowed. There are numerous instances worth mentioning but few of them such as making Primary Education compulsory for all subjects, men and women, prohibiting child marriage and opening all the places of worship for his low caste subjects are most remarkable. He opened lot of new schools and colleges to promote education. He managed to check corruption in the administration by adopting unique ways of detecting corruptions, finding culprit officials and punishing them. He banned beggar and it is said that during his rule none dared to accept bribes or deny wages for any services rendered. 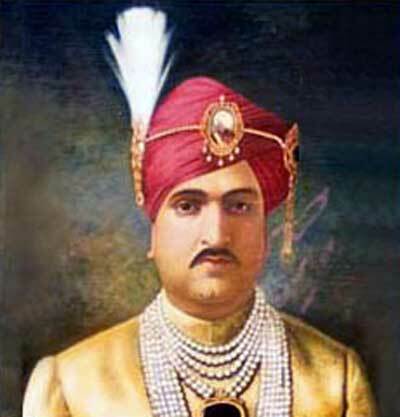 Maharaja Hari Singh was the first Indian among the rulers of Princely States of India who locked horns with global mighty British rulers in Round Table conference in London by advocating the independence of India. He was made a member of the imperial war council from 1944 to 1946 during the World War-II. During the war he visited Middle East where he joined his units which were fighting against Axis Powers. He lived with them in their temporary trenches and bunkers which encouraged them and boosted their morale. Showing his solidarity with forces in the battlefield gave him lot of respect not only of his men but also of the Allied Powers particularly of the British Army. He signed the instrument of accession with the Govt. of India on 26th October 1947, acceding his Country to the Indian Union which included Jammu, Kashmir, Northern Areas, Ladakh, Trans Karakoram Tract, POK and Aksai Chin. Following the invasion by Pakistan on 21st October 1947, he appealed to the Indian Union for help. India refused unless he acceded to the Indian Union. He signed the instrument of accession with the Govt. of India on 26th October 1947, acceding his Country to the Indian Union which included Jammu, Kashmir, Northern Areas, Ladakh, Trans Karakoram Tract, POK and Aksai Chin. He was fond of Polo and Shikar. However difference of opinion emerged between Maharaja Hari Singh and Sheikh Mohammad Abdullah, the then Prime Minister which ultimately ended up with forced abdication of the former in favour of his son Dr. Karan Singh. He spent his last Days of his life in Bombay, never to return to his State thereafter, from 1949. He spent rest of his life in Bombay. His passion for Polo, Horse Racing and Reading kept him occupied for the remaining period of life. He breathed his last on 26 April 1961 at Bombay. As per his will his Ashes were spread all over Jammu & Kashmir and immersed in River Tawi at Jammu. He donate most of his property to the Arya Samaj under the advice of his Prime Minister Mehar Chand Mahajan before his death which occurred in 1961. India-Pakistan: A dialogue process or failed diplomacy?